I have not done a custom in quite some while and with the Transformers: Dark of the Moon movie out, I knew it was a matter of time before my fingers started to itch again. 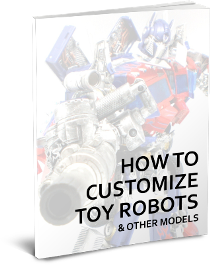 Not surprising, I am tackling an Optimus Prime figure, specifically, a Ultimate Jet Wing Optimus Prime. Not many people have tackle this custom yet in this size except pro-customizer “Frenzy Rumble”. His interpretation of the Dark of the Moon Ultimate Optimus Prime is spectacular as usual but it is a non-transformable figure. 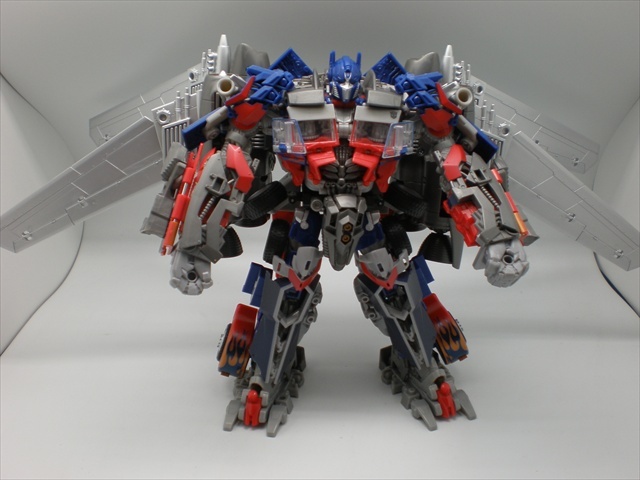 As with my Power Up Leader Class Optimus Prime which is still the only one I’ve seen that has all detachable parts and can transform, this figure is similar in that all parts can be detached and Optimus Prime can be transformed to his vehicle mode. 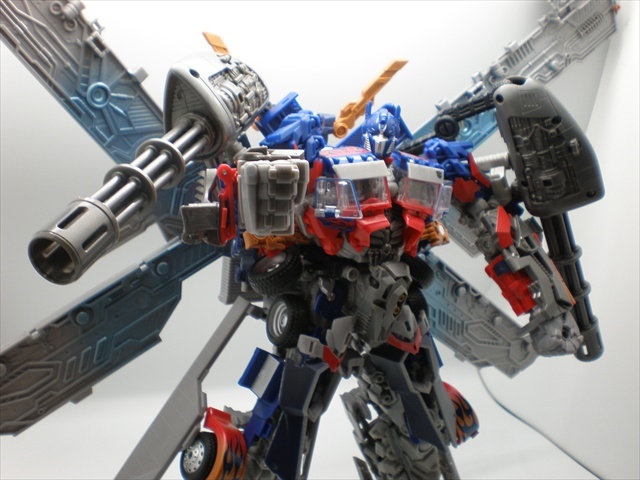 This figure is created from a Hasbro “Ultimate Optimus Prime” and Takara ” Jet Wing Optimus Prime. 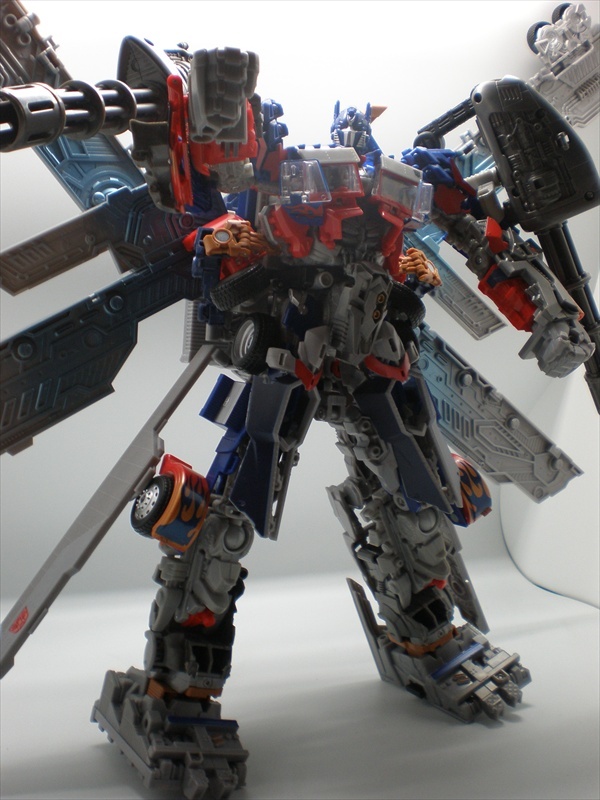 The main Optimus Prime figure used is a Leader Class Prime. The figure that comes with the “Ultimate Optimus Prime” is a size between the Voyager Class and Leader Class but I managed to keep him completely untouched in this custom so he joins my display cabinet. I cut out and shaped multiple pieces from the “Omega Combat Armour” from the trailer of “Ultimate OP”. Individual pieces of armour will be attached to the Jet Wing Leader Class (JWLC) OP using mini neo-earth magnets. I removed the hands of the JWLC OP, shaved them down and added flat disc magnets. Bigger magnets are embedded inside the wrists of the figure so that the regular hands are now detachable and can be replaced with the “power up” combat armour hands (which are bigger). I will also add Energon Swords to the forearms of the final figure. Besides the Jet Wing mode, I was also able to modify what was left of the trailer “Omega Combat Armour” so that the new Ultimate Jet Wing OP (sans the Jet Wing Pack) could be secured mounted onto the trailer to create a battle station. This replicates OP stepping into into his trailer that converted to a battle station to get his weapons in the movie. 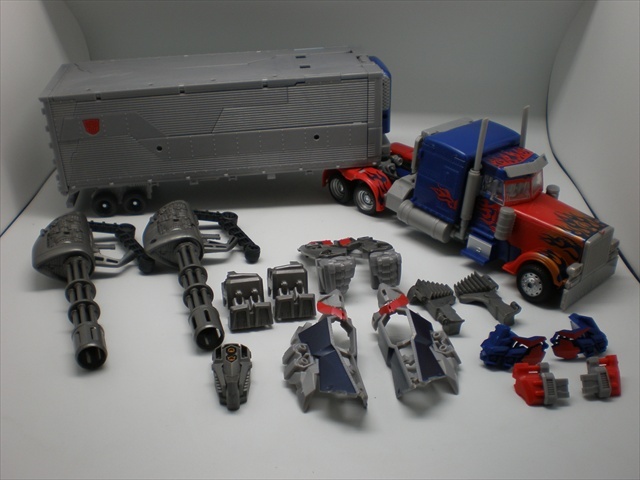 The Gatlin Guns are attached to this trailer and the trailer wings are extended out to create a very cool enhanced “Ultimate Optimus Prime” with the enhanced Leader Class Prime. Best of all, OP converts to his truck mode and the battle station converts to his trailer. Here are work-in-progress photos. The figure is far from complete, lacking sanding and polishing for cut parts, embedding all the magnets and the big paint job. Ultimate Jet Wing Optimus Prime in alternate Truck Mode. Trailer in Vehicle mode. All armour and weapons removed. I really love this work! I wanted to know where is the jet pack, is is inside the trailer, in the truck mode picture. Can all the detachable (the guns and the guards) parts be put inside the trailer in the truck mode? Can this thing could be sold? I am not sure if I would buy but just tell me can it be sold? Hi, No. This is a combination of two separate toys. 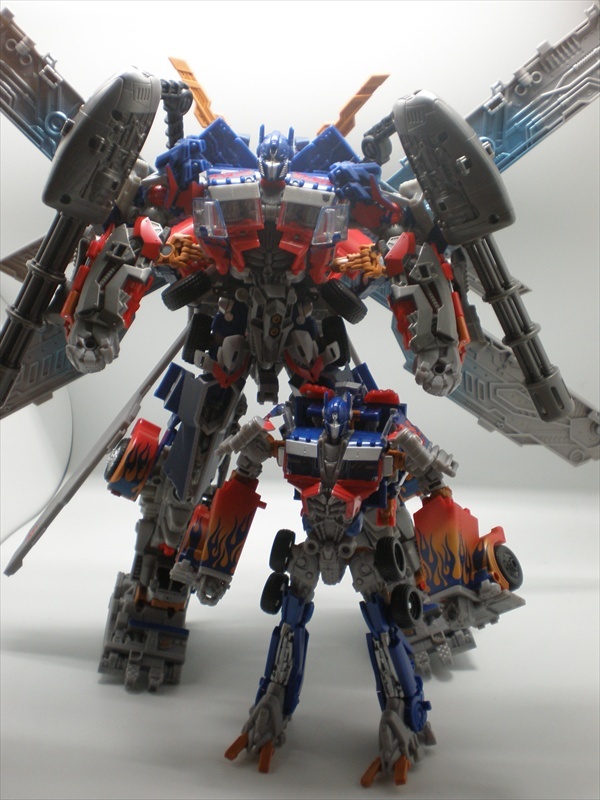 The jet wing is part of Takara’s ” Jet Wing Optimus Prime. You can google it. I don’t think everything can fit inside the trailer, I have never tried. Maybe. I am not selling this, if I understand you correctly.